City of Heroes is set in a fantastic world filled with awe-inspiring Heroes and bone-chilling Villains. Countless adventures await you on the streets of Paragon City and the inside the evil empire that is the Rogue Isles. 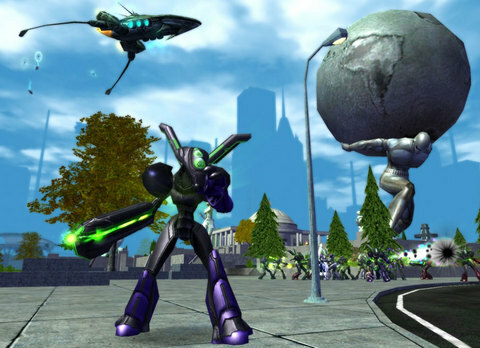 The story section will give you a taste of what awaits you inside the world of City of Heroes. You can re-live the Rikti Invasion, meet some of the legends you may find yourself fighting (or fighting beside), and even take a peek into Ghost Widow's most personal thoughts.